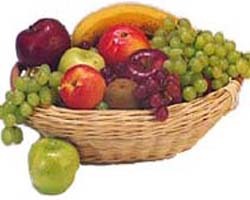 Description: Filled with the finest fresh fruits and hard candies, this basket makes the perfect gift for any occasion. Fruits may include apples, pears, oranges, bananas, and grapes. Shipping: All Over The Philippines.